For assignment #3 we were asked to choose 3 objects of the same category from the MET. After this we were to find 3 objects from the same category from modern day and make a piece portraying all 6 objects. I decided to make a piece showing different pendants. I own a bunch of different pendants so I thought it would be interesting to compare them to ones I could find in the museum. I found that the oldest pendant was quite simple, then over time they became a little more complex. However, the most modern pendants have reverted back to a more simplistic style like the older one. 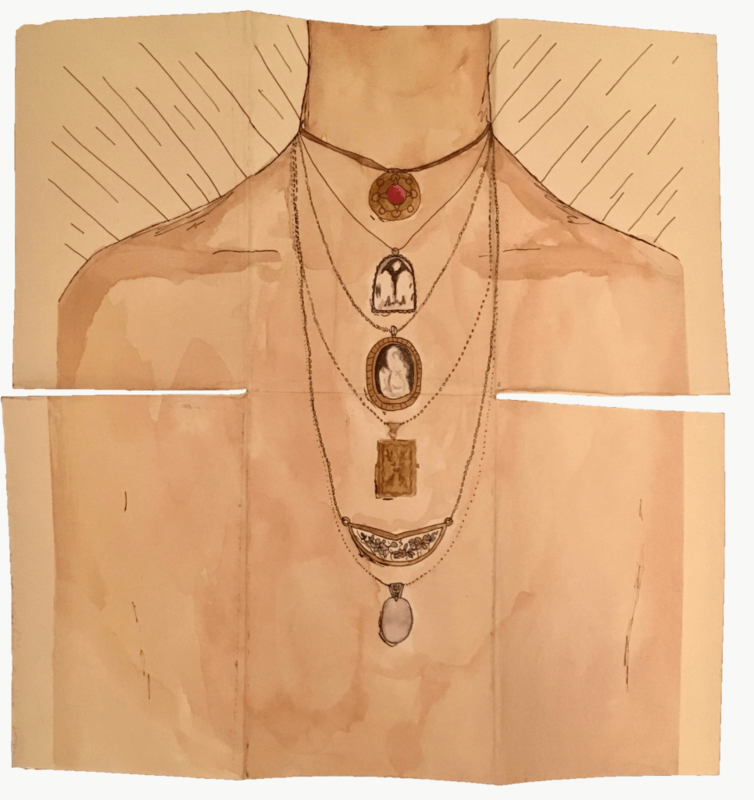 In my piece I wanted to compare the physical pendants themselves to show their evolution in design over time. I also decided to portray them on a person because I wanted to show a pendants connection to human expression. When I think of pendants and necklaces I immediately think of the person wearing them and why they may like that particular design. 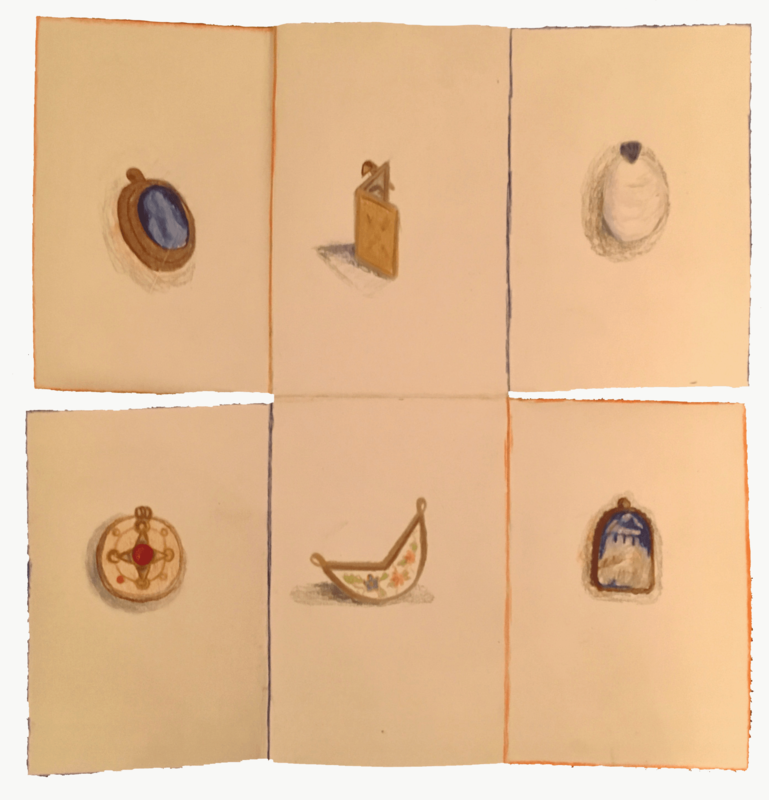 After completing the drawing of the pendants being worn I decided to also include detailed images of all the pendants separately so the viewer would also see a better image of them to compare their design. The piece is mixed media. Using ink pen, watercolour and pencil crayons.